Katherine is the owner and director of Cranleigh House/ Camino Earth, a Social Enterprise with the vision to bring more LOVE into this beautiful world. Katherine is happy in nature dancing, walking, praying, meditating, standing on her head and writing, guiding and walking for peace. She was brought up in a beautiful Water Mill surrounded by nature and animals, in Kent. 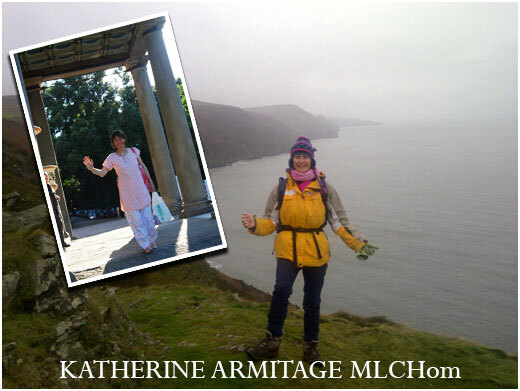 She has worked in the healing world: Homeopathy, Flower Essences, Blue Green Algae, Naturopathy and teaching Yoga for the last 20 years: building a dream toolkit to help herself and others bring more JOY into their lives and then to take this LOVE energy out to others. Combining all her passions has inspired Camino Earth: Creating Heaven on Earth. 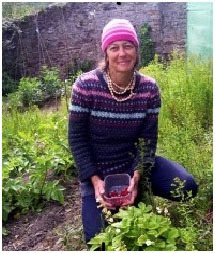 This picture is 'picking strawberries' taken in the Cranleigh House walled garden, which is part of our Mother Earths Minerals project: Remineralising you and your soil. 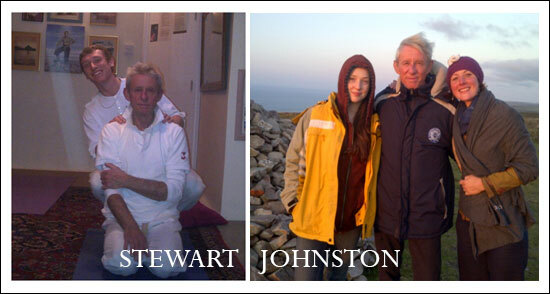 Stewart LOVES meditation and its wonderful benefits and, like the Beatles, was initiated into Transcendental Meditation 40 years ago. 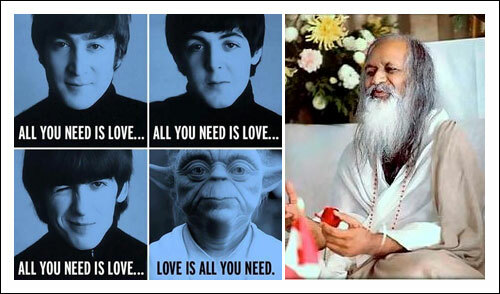 He says “It uplifts, releases stress and has a positive effect on the environment as the conclusive Maharishi Effect research shows”. 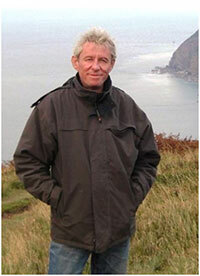 Stewart is passionate to demystify the world and bring spiritual solutions to the problems the Earth faces. He is our environmental magician, trained as an aircraft engineer. He is also our resident Kundalini yoga teacher, chief gardener and Indian Head Masseur. Stewart at our Yoga Teachers Day in 2013 & on Holdstone Down, Exmoor, Devon after a dynamic prayer session.